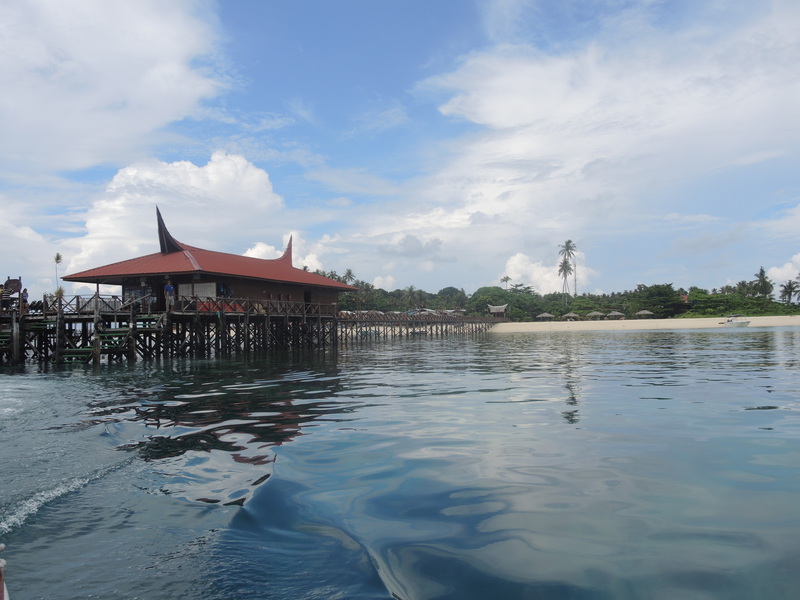 Photo taken as we left Mabul Island. This entry was posted in Travel Photos and tagged 50 Year Project, Asia, Beaches, Life, Mabul Island, Malaysia, Nature, Photography, Travel, Travel Blog, Travel Journal, Travel Photo. Bookmark the permalink. Ugh! Your life is so exotic. Sometimes. Today my exotic life involves doing laundry and cleaning the cat litter box. Oh boy do I love that last job–look forward to it every day. where is this Mabul Island? Malaysia. Sorry I should have said that. I’ve been sharing photos from my recent trip to Malaysia and Borneo. It was sad to leave. We had a great time though, so can’t complain. “… my life involves cleaning the cat litter box…” = my daily job too! Oh the joys of pets–but they are worth it. Very jealous!! You may be cleaning the cat litter box today but who knows what you’ll be doing tomorrow. Well don’t tell anyone. Today was extra special–I cleaned the litter box and then took all the trash out. I love trash day! I like the spiked roof, very interesting! My daily job is the same as yours. Exciting beyond belief. The picture is amazing. What a great trip you had! I am looking forward to your next pub post! I just downloaded all the photos! Really. Does it symbolize anything? Different province has different story, in my part (West Sumatra) it symbolized a buffalo. Much more relaxing and enjoyable. Beautiful picture. I love the colour blue. June 10th is my Birthday. I was hoping the “Photo of the Day’ wouldn’t be a toad or monkey or worse still a snake. Thanks for that picture post card perfect photo. I don’t think I’d ever heard of Mabul Island before your recent posts. Must say, it looks spectacular from every angle. I hadn’t heard of it either until the travel agent suggested it.